I may have mentioned a few hundred times that I love Excel. I serious dislike PowerPoint, and I see no need for Word, but Excel brings me great joy. I simply love taking piles of data and turning it into information, and Excel is how I do that. There isn’t a pivot table I don’t adore, doing a vlookup delights me (once I re-remember how to do one), and simply formatting a graph to help explain my point brings me great joy. If you find great value in any of the Office products from Microsoft, you may need to consider an Office 365 subscription yourself. 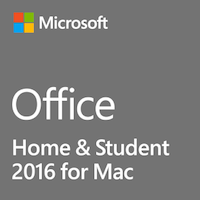 You might be saying, “But Allison, Office 2011 does everything I need!” And while that’s true, you won’t be able to use Office 2011 after you upgrade to High Sierra. Microsoft isn’t going to upgrade it so you’re going to have to make a decision pretty soon. Stay on Sierra for the rest of time and complain about how you don’t get updates. You’d expect that next I would go methodically through this list and give you the pros and cons of each option. Let’s do something completely different this time. Let’s jump around and I’ll complain about different things in the different options. Not as helpful to you as a detailed analysis would be, but very therapeutic for me. The first option of staying on Sierra is just dumb in my opinion. Delaying the inevitable will just waste your time, and be more frustrating in the long run. If you choose the new solution now, then you’ll be moving when everyone else is, and have more help in figuring out how to go through the transition. I’ve listened to too many people who waited to move from one application or platform to another, and by the time they tried to move, no one else remembers the solutions to the problems they inevitably have. Staying on Sierra forever will eventually put you at a security risk. I guess there is an option 1.5. Stay on Sierra for a year or so until maybe someone comes up with a better solution. You’d probably be ok doing that. But if you stay on Sierra for years, I guess what I’m saying is, don’t come crying to me later when you have trouble converting files! I have been using Office 365 for a few months now. $100/year is a lot of money just for Excel since I don’t care about the other products. But it does support both of Steve’s computers and both of mine, so that’s cool. I have to say that I don’t like the new version as well as Excel 2011. They seem to have spent a lot of time making it pretty and animated, and not actually adding functionality that I need. I forget who helped me with this, but someone on the Internet showed me that I could turn off the animations which made it a lot faster. But as I was describing this to Dorothy during our workout on the elliptical machine, maybe the fact that it hasn’t changed very much is a good thing. Perhaps we should be looking at this as a fee to keep it from changing! If everything was different, it wouldn’t be the Excel we know and love, right? We probably don’t need Excel on all four Macs, and I don’t think I need it on my iPad and our iPhones, so I could probably get away with two standalone copies for $300. It’s a tough call on whether this is a good idea. That’s 3 years of renting it till I’d break even. Maybe there will be some huge pivot-table-based breakthrough and I won’t get it if I don’t have Office 365! To be honest though, I do so much collaboration with Steve, that I reach for Google Sheets much more often than I do Excel. Probably my main use case for Excel is it doing calculations for my taxes. It doesn’t seem like a sound idea to put my financial information online in a product made by Google. You might make a different decision. But for everything else, Google Sheets for an Excel replacement works pretty darn well. I remember being frustrated that it didn’t allow me to do vertical text one time, which is important when creating a QFD, but other than that it’s not awful. But it’s like a suit that almost fits but if you stretch your arms forward it sort of pulls at the back, and the tag is kind of scratching your neck and the color doesn’t quite look right and the pants are a quarter of an inch too short so they don’t break at your shoes like they should. It’s fine but it’s just not quite right. I went over to our Google Plus community and asked about the state of the union on open source alternatives. George from Tulsa suggested LibreOffice from libreoffice.org. I had used it years ago but hadn’t taken a look at it recently. My goal was to try out the alternatives while trying to make my giant table of doom (trademark Donald Burr) about the iPhone models using one of these spreadsheet examples. I started with LibreOffice. I was hoping that it had made huge advances in usability in the past few years, but I’m afraid to say that I was disappointed. There are all kinds of dumb, annoying things, like how it opens in full screen every time and you have to shrink the window down. It also is a package that includes not just the spreadsheet application, but also a text editor, a presentation program, a database, and the drawing application all piled into one giant app. I kind of like to see my spreadsheet application all by itself. But that wasn’t enough to keep me from using LibreOffice. There were a plethora of other little annoyances that made me stop using it. For example, it would freak out when I tried to use a TextExpander snippet. It was very weird behavior; it would take data from another cell and paste it into the cell where I had used the snippet. Really annoying behavior. Another thing that drove me bonkers was how badly it handled adding a line feed within a cell. Sometimes you need to separate text within a single cell into two lines. The standard way to add a line feed in most applications is to hold down option-command and hit enter. In LibreOffice that key combination sort of works, but not properly. If you use that key command as you’re typing, it ignores you so instead you have to type the words first, and then go back and insert the key command between the two line elements. Libre Office is also very slow in many operations, especially while formatting a chart. Oh here’s a great one. Libre Office only prints in landscape. The documentation tells you how to change it to portrait, but it doesn’t matter. Libre likes landscape so it’s going to print in landscape no matter what you say. I confirmed this with George so it’s not just me. I could’ve lived with these annoyances, maybe, but that’s not what made me throw in the towel on LibreOffice. I tried to save a file, and it asked me if I wanted to save it as an ODF spreadsheet, also known as the Open Document Format. I told it that I wanted to save as an xlsx spreadsheet. That works fine. A while later when I hit save, it insisted that I wanted to use ODF again and simply refused to allow me to choose any other option. My work was essentially lost because I could not save my document. And that’s when I threw in the towel on the LibreOffice. So how about that Numbers application? I’ve given Numbers I tried many many times, and I always end up going back to Excel. I decided to run up that hill one more time, and give it another try yet again. I opened the file I had created in LibreOffice in Numbers. First of all, I find the contextual menus extremely confusing in Numbers. For example, let’s say I want to center the text in one of the cells. I click in a cell, and I have to click on the format button in the upper right to reveal the panel where this can be accomplished, kind of like things hidden in the ribbon in Microsoft Office. Don’t love that, but it’s not that bad. The side panel reveals four more tabs. There is table, cell, text, and arrange. But up across the top of the window there are icons for table and text. Are they the same as the ones in the side panel? Actually, no, they’re not. They just have the exact same name. I find that super helpful. It may be operator trouble, but I keep running into scenarios where I can’t find the formatting options. I was trying to center some text in a cell and for the life of me, I could not get to the menu for text alignment. Sometimes I couldn’t find it, but other times the options seemed to be unavailable. It could be just me being dumb, but it has happened enough times that I’m not sure it’s me. Another annoyance is with making charts. I wanted to make a chart showing the prices of the different models of iPhone with the different sizes of storage. I selected my table and told it to make a chart. Numbers misinterpreted what I wanted, and tried to graph the table titles along with the data. I managed to work around that problem. But for some reason, it refused to use my row titles for the legend. Oddly, it would let me type in my own titles. It really annoyed me that it plopped the legend above the chart, when the standard location is on the side. I was able to drag it to the side, but it kept the titles in a wide horizontal, side-by-side arrangement. Looked really stupid. I fought with it for quite a while and gave up. I published my chart with a legend across the top. Later I went back in and noticed that the legend had two little handles, like a normal text box. It occurred to me that maybe Numbers would let me adjust the size of the box with the legend titles. I thought maybe if I could narrow the box, it would put the titles one above the other instead of side-by-side. Sure enough that worked. I guess I have to think differently with Numbers. There is one thing that is just plain stupid about Numbers. I was graphing the prices, which ranged from $350-$1150. I wanted horizontal grid lines at every $100. Turns out that Numbers won’t let you type in a value for how far apart you want the lines to be, and it doesn’t even offer you something logical like increments of $100. Get this, you have to tell it how many steps you want to break the axis up into. For example if the axis went from $0-$1000 and you told it to break it up into 10 steps, then each step would be $100. But if you want your chart to go from $300-$1200 you need to do math and tell it to break it up into 9 steps. How on earth is that easier than saying make a line every one hundred dollars? Numbers is weird in that you can create multiple spreadsheets on a single page. I’ve always thought that was stupid and I’d never use it and I hate it. But when I was doing my spreadsheet on the phone models and I wanted to count the SKUs I realized a small, second spreadsheet on the same page was a perfect way to do it. I started thinking about all the times I’ve created a new area diagonally away from my main sheet so I could format width and height of cells independently in Excel. This multiple spreadsheets on the same document page approach might actually be useful. I’m really on a roll hating Numbers here, but there’s more I don’t like. I really dislike their cutesy method of showing formulas. Instead of just showing (B5+C6) it has these goofy wedge-like parentheses that take up a bunch of space and are hard to interpret. And don’t get me started on edit in cell. The stupid formula stays on top of the cells so you can’t see the other cells to add them to the formula! I bet it’s a setting because I know I used to be able to edit down below instead of in cell but I was so angry about this that I gave up. Then the other day I tried to use Numbers on the iPad to do a really simple spreadsheet. I was really frustrated with it. In this sheet I had a row of information that I needed filled down. On the Mac, you see a little yellow box when you hover over an edge of a cell, and if you grab it, you can pull in that direction to fill the information to the new cells. But on the iPad it doesn’t have that. I had to select a cell, tap and hold to copy, tap and hold to paste. Got really tedious after a while. In what is probably another case of me just missing things, I was never able to figure out how to name my gosh-darned spreadsheet while it was open. I finally thought to go back out to the giant grid of spreadsheets and tap and hold there, and sure enough one of the options was to rename. That’s just dumb. The time I want to name something is while I have it open! You might think this is picky but it still seems dumb to me. In Numbers on iPad you have a choice of a regular keyboard or a number pad. If I’m typing in some numbers, the number pad makes sense. But guess what they didn’t put on the number pad? An equals sign. Sheesh. I’m not giving Microsoft a pass on this one though. I tried to use Excel on the iPad and I had pretty much the same kinds of problems as with Numbers. You can drag and choose fill, but at first it didn’t do anything. I eventually did figure out how to use it, but it wasn’t super user friendly. Excel has nicer formulas and I was able to name my dag-nab spreadsheet at least, but the menus were limited and confusing and I ran away from it too. So what have I concluded about all this? I think I’ll stick with Office 365 and my $100 subscription. It doesn’t make me want to throw my Mac across the room and it’s really expensive, but compared to the alternatives, at least the software is good and I understand how to use it. How’s that for an endorsement? I keep a ton of personal information in Excel. I use Numbers, too, but some of this stuff goes way back, and Excel still has capabilities that Numbers lacks. I tried LibreOffice, and it opened the files I tried. It may be functionally fine. Having said that, I’ll probably do what Allison did and go with Office 365. That also gives me the opportunity to take some of the Excel files on the road when I travel with my iPad Pro and not with my Macbook Pro. Just the goofy formula editing is enough to keep me away from Numbers. Fortunately, my work is entrenched in Office 365 these days and they let us use the spare license slots on personal devices, so as long as I stay in this job I have access to Excel. Excel could never be accused of being “pretty” but it gets the job done efficiently. Here’s a weird one. My use for Excel is to have multiple sheets in one Excel file, and final data from one (e.g., January) is linked to the start of the next sheet (e.g., February). Well, Numbers appears to handle the linked-information sheets, but when I tried to import an Excel file into Numbers, it picked up some incomplete version of the file (i.e., it is October, but it found a partial September version). The Excel file includes complete September data as well as some October info. Don’t know how it could be so confused.